Photo Techniques Magazine stated: "All our readers need to know about this very useful book." Indeed, there is no other compendium that is as in-depth as this for the beauty and magic of fine-art black-and-white photography. 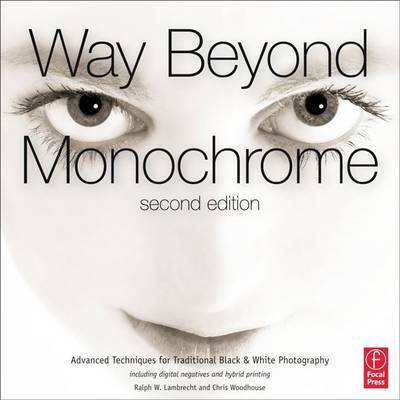 With 560 pages and over 1,000 illustrations, Way Beyond Monochrome starts with conceptual lessons of composition and takes you through image capture, exposure, controlling tonality, variable-contrast paper, archival printing, mounting, framing and presentation with simple concepts to an advanced level. This new edition has been completely revised and heavily expanded, adding over 250 pages to the original edition with new chapters on print mounting, spotting, framing, digital negatives, utilizing digital technologies for alternative processes, and fabulous do-it-yourself projects. Overall, the authors have created a thoroughly researched, technologically sound yet aesthetically pleasing, inspirational bible for monochrome photography.